What do you do in a world gone mad? A few weeks ago we talked a little about truth and asked who we could trust. It’s a hard question to answer outside of simply trusting our creator. Paul tells us to hold fast to that which is good and to prove all things. What does it mean to Prove? What we are told in today’s world is often hearsay, opinions and ideas. To prove these opinions and ideas true or false would be a continual job and it’s not one I really want. Rather, I want to look at God’s word and see the truth found there and apply it to my life each day. The bible often proves itself, but there are other ways to prove God’s word as well if you wish. First of all, consider this: The bible, written over a period of 1500 years (give or take a few years) and written by a large number of people, some schoolers and others just simple men, yet it correlates well within itself all the way through. Divine inspiration is the most common answer to how the bible fits so perfectly together. The new testament writers did not have access to concordances, or other ways to easily back up their writings. Yet each of the four epistles in one place or another use phrases “thus fulfilling the scriptures”, or “fulfilling prophesies” and similar phrases. Jewish children were brought up to read the bible and to memorize the word of God. Most likely these new testament writers -even though they weren’t schoolers- had also memorized great portions of scripture. These writers of the 4 gospels were aware of the prophecies surrounding the Christ and after seeing his life, death and resurrection, they knew who he truly was. This being reflected in their writings. 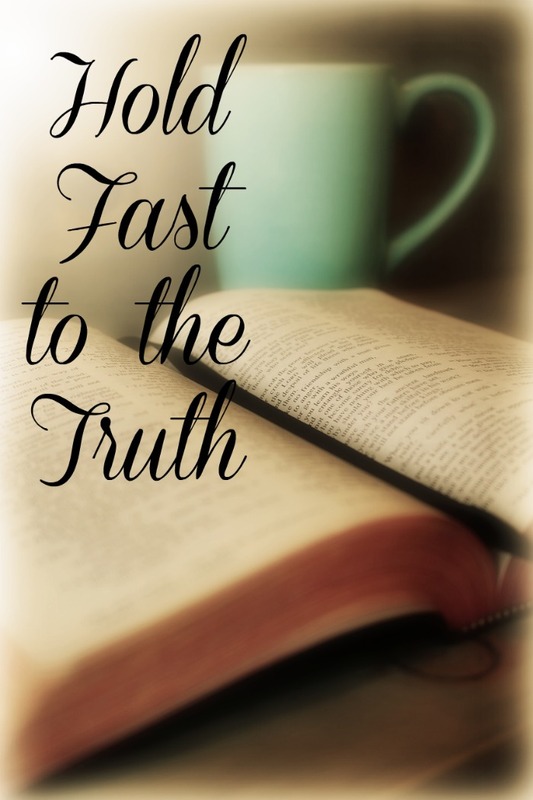 How does one prove the bible, and hold fast to the truths found within? I am by no means a bible scholar, but here are a few suggestions for both proving and holding fast to the truth. The bible I read in the mornings isn’t a study bible, but it has little notations after certain verses and the notations either give an alternative translation for a certain word, or a reference correlating to the verse I just read. Looking up these references are just one way to prove God’s word. Continually reading God’s word and seeking his will through his word is one way to “prove God”. 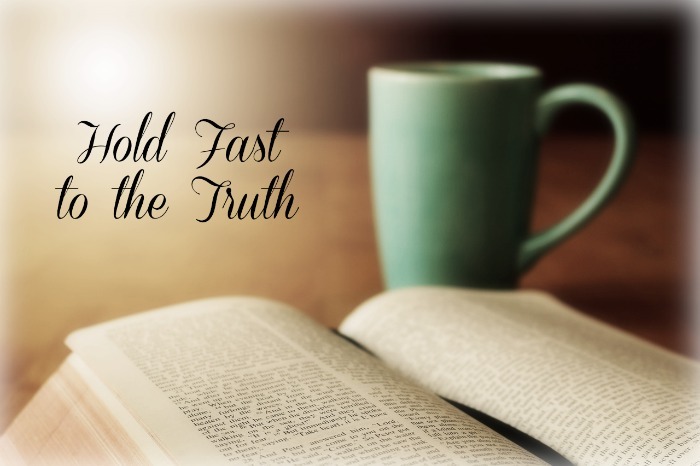 Additionally, committing to memory the verses and promises you are reading will enable you to “hold fast” to the truth. What if you don’t like reading? What if you find the bible “dry”? Understandably, reading isn’t easy for some. In that case find the bible in audiobooks and listen. Unless you live in a country where the bible is banned, how can you call yourself a follower of Christ if you don’t even know what his word says? As a busy mom myself, I understand all too well how hard it is to find time for everything. However, God’s word is our light and our truth. If we don’t read his word and seek his will, is it possible that we are simply “good people” calling ourselves Christians but doing what seems morally right to us rather than seeking God’s will in all things? If the truth of God is within you, if you prove his word and hold fast to his promises, you will find that the chaos of this world fades. I love reading ideas and theories, but in the end, I know who is in control and am blessed with peace in the midst of a world in turmoil. When you hear of wars, and rumors of wars my friends do not fear. Our God is still on the throne. Men may act as Gods here, but when they die, they will be no more Gods than you and I. Our God still reigns and we may safely trust in him! Start a new week with God dear sisters. Trust him and like Mary of old hold all things in your heart and ponder them.